thank you all for your love & honesty about sunday’s post when easter is hard. i am always reminded in these moments how many amazing people are out there feeling similar feelings in different ways. i’m more convinced than ever we need an underground railroad to help each other on the way to freedom. the timing of this month’s synchroblog is interesting, too, because it is centered on the resurrection & “what if it was really a hoax”, a controversial conversation sure to stir up some challenging perspectives. i am traveling this week and last week was a wild & crazy holy week so didn’t have time to write a post specifically for it. but as i was walking yesterday i remembered this post i had written almost exactly 4 easters ago called jenga faith (it was from one of my first few months of blogging, holy smokes i’ve been doing this for a long time now!). i hadn’t read it in several years so it was interesting that it came up in several conversations with friends this past week. i thought i’d throw it into the mix for this month’s topic & maybe for those who might be reading post-easter who are wrestling with doubt. . i’d love to hear what it stirs up. i’ll post the synchroblog link list once they come in later today. many i know are going through huge transformation & transition in their faith. it’s a scary, scary process. giving up clearly held tenets of the faith: hills we used to be willing to die on….issues we used to be bulldogs about, refusing to waiver…positions & theology that brought us a wonderful sense of comfort because they were just so “clear”…”it says right here in the Bible” kinds of answers to extremely complicated questions. i recently shared with a friend that all of this spiritual shifting can feel a lot like the game of jenga. in the game of jenga, the idea is to keep the tower from falling when various pieces keep getting taken out. 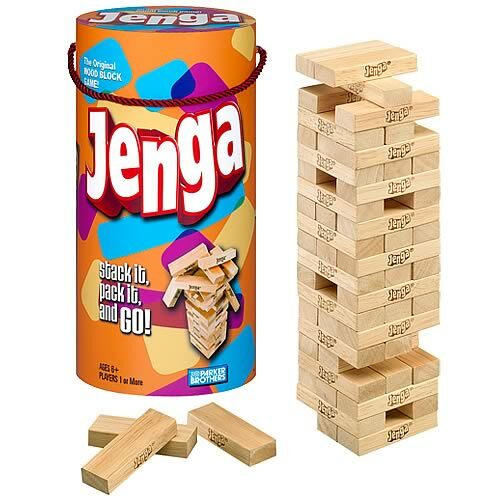 in the game of spiritual jenga, some of us wonder, “if i take out this piece is the whole christian tower going to fall any minute?”….”will this one end it all for me?”…”how far can i go before the whole thing crumbles?” a lot of times i think “i’m a pastor for goodness sake, i can get in trouble for ‘not knowing’ like i used to.’” (by who, i have no idea, it’s just the weird stuff that rattles around in my head, and i am grateful for my community where we can process these jenga pieces out loud, look at them, talk about them, disagree about them and still love each other and trust each other’s journey). while i clearly understand there are many people deconstructing from christianity right and left, becoming atheists, walking away from their christian faith completely, finding meaning and purpose in different types of communities that don’t use the word “religion”, i am finding that even though i’ve been pulling out some jenga pieces over the past few years, my christian tower hasn’t crumbled. i am comforted that i am not alone. there are lots of us living with jenga-holed faith that is beautiful and wild and probably even stronger than it ever was before (even though it often doesn’t feel like it). regardless of the holes, i still believe in Jesus. i still believe in the weird and crazy ways of the Spirit, the unexplainable way God brings hope, peace, and freedom to darkness, brokenness, and emptiness. the upside-down ways expressed in the sermon on the mount still resonate in deep places in my heart and stir up a desire to live this short life on earth differently. i believe in the power of Jesus’ love and that it gets expressed in many diverse and wonderful ways that cross over our limitations of language and expression and culture. i do still really love the conviction and hope scripture brings. i don’t have new answers to all of the jenga pieces i have taken out over these past few years. it’s not like i simply replaced the blocks with new certain, stronger, better ones. i am living in the tension of a lot of holes, a lot of uncertainty about things that somehow don’t seem to matter as much as i thought they did. some blocks i’ve looked at for a while and put back in. they didn’t need to come out all the way. others, i honestly don’t think they are going to be finessed back into place or placed back at the top; they’re pretty much out of the game. when i reflect on Jesus’ ministry in the gospels i am reminded that he didn’t really have a long list of pieces that i needed to have in my jenga tower in order for it to stand. in fact, he sort of honed in on what was enough to focus on: love God, love people, including ourselves. honestly, that is plenty to play with. You have no idea how bad I needed this today! Glad to be on this journey with you. Kathryn Schulz in her book, Being Wrong, speaks at length about what happens in all of us when what we thought was “right” is suddenly yanked out like a rug from under us. If we don’t have anything to replace it with, we fall … or struggle to make stuff up to try to keep from appearing like we are falling. It is the root problem of a faith based on propositions. Syllogisms and left-brained arguments don’t lead us to God. They only lead us to knowledge about God. I can read all of my wife’s diaries and never get to know her. The only way to truly know my wife is to love her. A relational faith rests on a rock that cannot be shaken by any logical argument or any wind of change in hermeneutics or theology. “[L]oving intuition is more fruitful and more trustworthy than the dialectic proof.” — click on my name for more. Enjoy. so good, thanks jim. i really like this line “we struggle to make stuff up to try to keep from appearing we are failing.” that is so true! Pingback: What If the Resurrection Were a Lie? « No Longer "Not Your Grandfather's CPA"
I guess I missed this post the first time around so I am so glad that you used it for this synchroblog – I love the way you used Jenga and the visual it conjured up in my mind as I thought about my own faith journey. Like you I have also let go of a lot of beliefs only to find that their absence has not caused my faith to collapse but instead it has allowed me to hone in on the most important things … things like loving God and others. thanks, liz, it was a long time ago! i can’t believe 4 years have gone by. wild. it is very freeing, to lose the unessentials and find what really matters. YAY! Hi again my first intro to the carnival! 🙂 I remember literally heaving a huge sigh of relief reading this for the first time. This time around, wow how have things shifted. I like this line ” regardless of the holes, I still believe in Jesus.” That is what I can cling to, in this really rough season when I want solid ground. Yeah, it was “easier” in some ways backintheday to just point to things and *know* how to tow the line. i really like how you added that some of the blocks are how you see God or how you project God sees you. so good! Many years ago I wrote a piece which I took to our Christian writer’s critique group. “It’s all true” I replied. “Nevertheless, it should never be told” she fairly shouted. It was perhaps in that moment I understood that the “Christian tower” most people have constructed has many pieces that exist only in their make-believe world. I have no Christian tower, just Jesus. Ok, you talked about pulling the Jenga blocks out of the tower. To continue the analogy, the only way for the tower to grow is to add the blocks back in a different configuration. Blessings. thanks for taking time to comment, dave. in the game of jenga, that’s true, but sometimes when it comes to faith we don’t have to keep building the tower but rather can take some things out and see that it still stands just fine. To be honest, my tower does fall from time to time, I think. I’ve been an agnostic, but never an atheist. God is patient with me, though, and I’ve always come back. I suppose you could say He helped me rebuild it. thanks for sharing. love that last line. The good thing in faith is that you own your faith and nobody can tell you what is right or wrong to believe! Then, if Jesus really resurrected or not is something that can’t be proved, so it doesn’t really matter. thanks for reading & taking time to share. i also like the reminder that everything isn’t rational/logical/proven-beyond-a-shadow-of-a-doubt. oh melody, we are in the thick of it, too. so many wild and weird conversations that are so different from the ones we had a chunk of years ago. peace and hope to you in the midst. glad we can somehow feel less alone in it. thanks so much for sharing! yep, that is a good description and i think you are right, so many have not sunk but instead been rescued and freed and on solid ground even in a swirling sea! I see I’m at least 6 mo. late on this thread. Still, wanted to comment briefly because I keep encountering your name Kathy. I’m a former evangelical, now very progressive upon finally returning to that form of Christian faith/community… having “jenga-ed” my way slowly there. It may have been Rachel H. Evans where I mostly have seen your name… have followed her blog on and off almost since she started it and I did mine. Then attended Big Tent Christianity in Phoenix in 2011 and heard/met her. Maybe you were there (?). Anyway, I appreciate how you share here and how you put things. Indeed, it’s tough on an individual basis, this “updating” of one’s faith. Also on a community, society-wide and even world-wide basis (we are more interconnected than we generally realize). Some just can’t revise, grow, re-vision as fast as others. It’s tough to be either toward the front OR toward the rear. But it may help the more tradition-bound to realize and accept that Christianity has ALWAYS changed, morphed almost beyond recognition early on and sometimes since, and that it apparently always will… a GOOD thing in my mind; but regardless of value judgment, inevitable. thanks howard for taking time to share. it’s never too late 🙂 i wasn’t at big tent but i heard it was some good conversation. we’re in an interesting time on a bigger scale & now it seems i know far more people shifting than otherwise. even some really hard-core-fundamentalists i have know seem to be at a stage in their faith where something is different. i really think it’s a sign of maturity and growth and that unfortunately so many systems don’t value it or support it so many get “stuck” and never move toward something free-er. really, your last paragraph says it all. glad you stopped by and shared. it always is encouraging. peace. Thanks for the reply, Kathy. I didn’t remember to come back and look until today. I could probably find this out by reading more of your blog, but out of efficiency/laziness I’m curious about this (as it’s one of my fav areas): Have you or do you “ongoingly” look much at the earliest history of Christianity (Xn Origins)? The reason I ask is I have gradually discovered, via much study, that the “traditional” view that holds sway even among most “liberals” seems almost certainly to be a major “rewriting” that was mainly begun by none other than Luke (in Acts, tho the Gospels reflect it also, in a less systematic way). The central point, with many important spin-offs, is that Jesus’ first direct followers and their immediate converts in Jerusalem particularly were still orthodox Jews and NOT probably persecuted for any religious reasons… and so on. Paul’s views were the heretical ones and didn’t “take over” until after the destruction of 70 CE. when the disciples/Apostles and Jeru. “Church” were all dispersed, never to effectively re-gather; and thus the split with Judaism ensued. Important corollary: The killing of Stephen and later James was for reasons basically the same as that of Jesus: the political (or social unrest) threat that a “King of the Jews” not of Roman choosing and control posed to the Empire and to the collaborating High Priests (major aspect of the political/socioeconomic system). Pingback: Kingdom Come or Kingdom Now?